This Tom Curren wave pool edit makes us smile. Why? 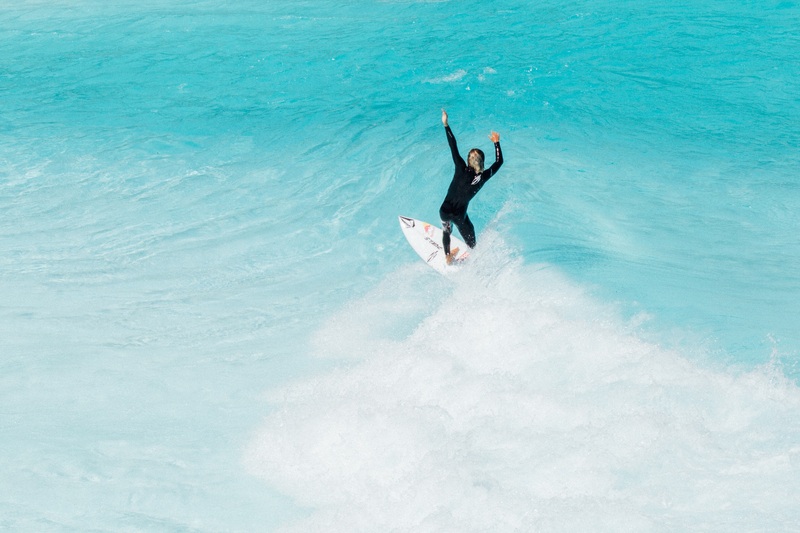 For many of us in a certain generation, Tom Curren is THE essence of pure surfing, and we wonder what would his ethereal style look like matched to the perfection of Kelly Slater’s Wave Pool? Born in 1964, the son of big-wave surfer Pat Curren, Tom honed his skills in the reeling point breaks of Santa Barbara, most notably at Rincon and Hammond’s Reef. Throughout the ‘80s Tom raised the bar of how fast, how hard and how seamlessly a surfer could ride a wave. In ’86 he beat Mark Occhilupo at Bells Beach to claim his first of three world titles. Appearing hung over after the glitz and glare of the ‘80s competitive scene, Curren bordered on being a free surfer, opting into a few competitions. Disinterested, in one famous episode he forgot his sponsor’s logo during the Haleiwa event where his rail game meshed perfectly with Maurice Cole’s eev-bottomed, thin-railed designs. To this day, Tom Curren’s first wave at Jefferey’s Bay, famously recorded by Sonny Miller, stands the test of time as a “perfectly ridden wave” and most likely would score a perfect 10 if ridden in the present JBay event on the CT.